We’re German Performance auto repair shop. We take special pride in serving our community and want to offer you a quality experience that is unmatched among auto shops in Atascadero and Paso Robles. We’re ASE Certified, so you can trust us to know what we’re doing when we work on your car or truck. Here at German Performance, our specialty, passion, and focus is on foreign makes such as BMW, Audi, Volkswagen, Porsche, Mercedes-Benz, and many more. Imported auto owners have come to know and trust us with their auto repairs needs in Atascadero / Paso Robles. Come see us at our auto repair shop in Atascadero if you live nearby. We’re independently owned and operated, so you can expect low prices. And because our name is our reputation, you can be assured that we’ll treat you fairly and give you honest advice on all your auto repair services. We know that your vehicle is not just a possession, but an integral part of your livelihood; you rely on your vehicle to take you to and from work and need it operational. No other auto shop in Atascadero will work with the sense of urgency that we have. We’re committed to giving you the right repair the first time and delivering your vehicle back as fast as possible so you can get back to business. And you don’t just drive any vehicle, but an import. Not all auto shops are created equal: we know imported cars better than the average auto shop. Don’t trust your car or truck to an inferior auto shop when German Performance knows your car inside and out. Engine, Transmission, Radiator Flushes etc. As a full service auto repair and brake service garage in Atascadero (near Paso Robles), we can tackle just about any automotive repair need that you may have. From brake service to complete engine replacement, we do it all! We are without a doubt one of the best auto repair shops in Atascadero. We want to be your go-to auto repair shop! Let us prove to you why we’re Paso Robles / Atascadero’s favorite auto shop! CALL OR STOP BY TODAY, DON’T PAY DEALER REPAIR COSTS! We are Paso Robles / Atascadero’s choice for everything automotive service related. We can tackle anything from brake service and emission repair to complete engine replacement. No job is too big or too small. Don’t pay top dollar at a dealership; our customers routinely save up to 50% over dealer prices. We offer friendly service, ASE certified mechanics and at a great price! We want to be your full service auto repair shop! With German Performance you can be assured that your vehicle is in capable and experienced hands. Call or come in today if you are in need of any type of Atascadero car repair. From complete engine replacement to a basic oil change our ASE certified mechanics can do it all. We work hard to get your vehicle back on the road as quickly as possible. Are you hearing funny noises? Is something leaking? Broken? Are your brakes not stopping? Whatever car problem you have, we are the car repair shop in Atascadero to bring it to! 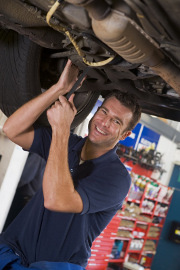 Our expert mechanics can diagnose almost any Atascadero car repair issue and with out excellent Atascadero auto service pricing you don;t have to worry about breaking the bank.As a full service auto repair and brake service garage in Atascadero / Paso Robles, we can tackle just about any automotive repair need that you may have. From brake service to tuneups, we do it all! We are without a doubt one of the best auto repair shops in Atascadero. Our ASE certified mechanics can provide auto repair in Atasacadero & Paso Robles for a variety of different makes and models, including BMW, Audi, Kia, Volkswagen, Nissan, Toyota, Porsche, Mercedes Benz, Mazda, Honda and Lexus. Here at German Performance of Atascadero / Paso Robles, we specialize in all aspects of engine repair services, from fixing oil and other fluid leaks to overhauls and complete engine replacement. To keep your engine running strong, scheduled maintenance is a must. The most common, and one of the most important things you can do, is bringing your car or truck in for regular oil changes. Engine repair or service in Atascadero doesn’t have to break the bank; our customers routinely report saving up to 50% over dealership prices! We work on most all makes and models here in Atascadero / Paso Robles, including foreign and domestic. Our ASE certified mechanics are all trained, experienced, and certified. We take pride in offering the best engine repair service in Atascadero! Engines are complex and incredible machines that are the workhorses taking you where you need to go. They require routine maintenance, service, and, from time to time, repair. Our auto mechanics are here to service all of your engine repair service needs in Atascadero & Paso Robles. Whether you need engine repair or more expensive complete engine replacement, we have the mechanics and the resources to provide you with the service you need. Bring your car to German Performance in Atascadero, just a short drive from Paso Robles, because we’re the experts you can trust! Your engine burns a mixture of air and gas, and the result of that combustion is what comes out your exhaust pipe. In recent years, the government has become more and more concerned about the exhaust gases from vehicles, and have required the use of various emission components, to help clean up the air which comes out of your car’s exhaust. One of those parts is the catalytic converter. When un-burnt fuel, known as hydrocarbons, passes out of the exhaust manifold, it goes through a catalyst, which causes many of the remaining hydrocarbons to be burnt off before leaving the tailpipe. The result is cleaner, more environmentally friendly air to breath for all of us. When your car’s catalytic converter becomes plugged, it will restrict airflow, which in turn will make your engine run “stuffy” and hesitation will usually occur. When this happens, bring your car or truck to German Performance where we offer the best exhaust repair service for Atascadero and Paso Robles at the best rates in town! Have a question? Call the experts at German Performance at 805-466-3236 today! Here at German Performance we realize how important the fuel system is to the operation of any vehicle and that is why our ASE certified mechanics are trained to provide the best fuel system service & repair in Atascadero and Paso Robles. 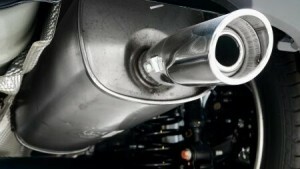 Additionally, our Atascadero Paso Robles exhaust & repair service is unbeatable in terms of price and quality. No matter what type of fuel system service or repair you need we have the resources to get it done! Bring your car or truck to German Performance for all your fuel injection system repair needs. Our ASE certified mechanics can provide fuel system repair for a variety of different makes and models, including BMW, Audi, Kia, Volkswagen, Nissan, Toyota, Porsche, Mercedes Benz, Mazda, Honda and Lexus, and we’re just a short drive from Paso Robles. Posted on August 19, 2014 by German Performance.